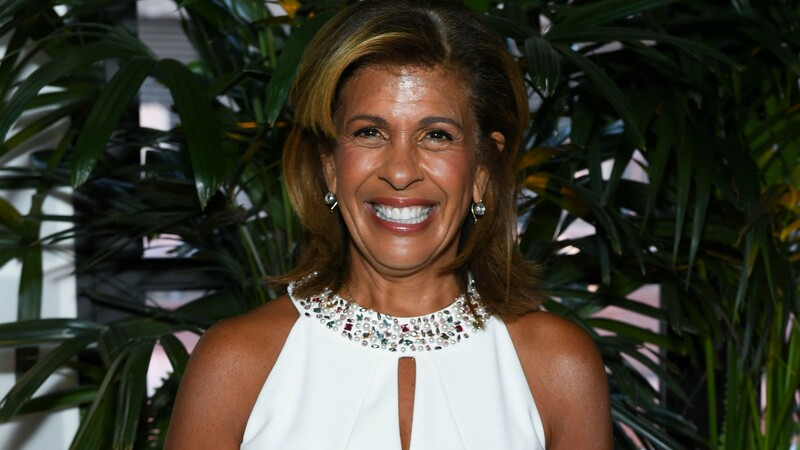 Hoda Kotb’s family is growing and she couldn’t be more excited about it. On Tuesday, Kotb announced she adopted a second daughter, Hope Catherine, which officially makes her a mother to two girls under three years old. Kotb made the announcement during Tuesday’s edition of Today, calling in to her fellow Today coanchors to share the good news. As reported by People magazine, Kotb shared her adoption news on — where else — Today. Kotb’s dear friend and coanchor, Savannah Guthrie, helped her make the announcement by cutting in during what should have been the regularly-scheduled roundup of trending pop culture news stories. Guthrie apologized to her coanchors, telling them that she had an exclusive on some big news about a famous face they all loved and mentioned that she was on the phone. Already a mother to her first adopted daughter, 2-year-old Haley Joy, Kotb shared that Haley has loved every moment of the family’s first days with Hope. According to Kotb, Haley has been marching around the house saying “I’m a big sister!” and trying to feed hope raspberries, which Kotb gently had to shoot down (“I said, ‘Not yet, babe.'”). Kotb had teased the arrival of Hope Catherine on her Instagram just one day before. Posting a photo that simply read “Choose Hope” to her Instagram, Kotb did a great job of keeping the big news under wraps. I mean, who could’ve guessed that this photo was in relation to huge news like becoming a mom for the second time? Today also shared in Kotb’s excitement, posting the first real, live photo of Kotb with her two (two!) daughters, Hope and Haley. They legit make the cutest little family and we can practically feel the love radiating from that photo. Too cute! We cannot wait to see where Kotb’s adventures in motherhood take her next. With two daughters by her side, we have a feeling things are going to get pretty darn interesting.